Bellator 160: “Henderson vs. Pitbull” takes place this Friday night (Aug. 26, 2016) inside Honda Center in Anaheim, Calif., featuring a No. 1 Lightweight contender eliminator between former Ultimate Fighting Championship (UFC) 155-pound champion Benson Henderson against former Bellator Featherweight kingpin Patricio Freire in the Spike TV-televised main event of the evening. Henderson and Freire will not be the only 155-pound fighters competing for Lightweight supremacy — Saad Awad and Derek Anderson will also lock horns, each looking to put together back-to-back win streaks. Awad is an interesting case because he lost his last fight in the weight class to Patricio’s older brother, Patricky Freire, at Bellator 141. Most recently, he did take a short notice fight at Welterweight, scoring a technical knockout of Evangelista “Cyborg” Santos at Bellator 154. Anderson should be a good challenge for Awad in his return to the division. He’s 3-2 over his last five fights and would actually be 4-1 over that span were it not for a close split decision loss to Brent Primus. 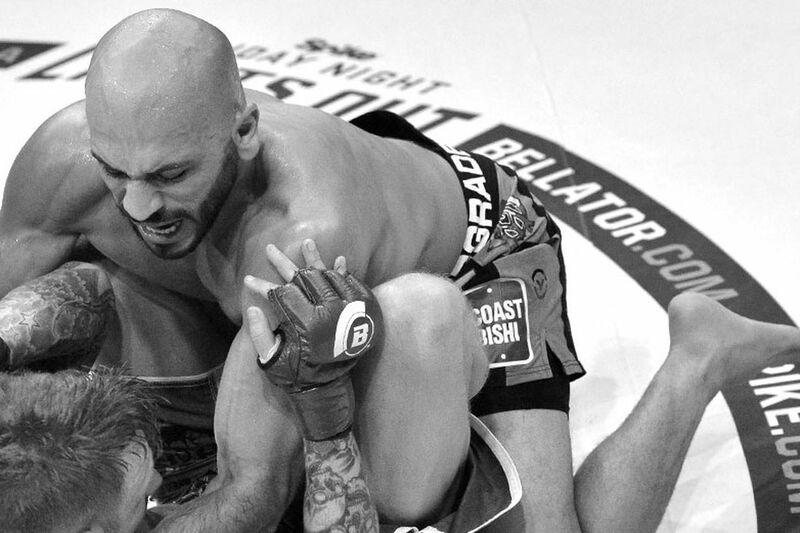 In a recent interview with MMAmania.com, Awad explained his confidence going into a what is essentially a hometown bout as he looks to once again assert his position in Bellator’s most competitive division. As far as confidence goes, there’s one Bellator fighter who Anderson holds wins over and Awad does not. Indeed, Anderson has beaten Patricky Freire twice. Does this affect Awad’s mindset going into a key Lightweight fight?